Shelley Hoffman has made a tremendous contribution to Explorer Software and has been instrumental in our growth and success. To honor Shelley, we have created the Shelley Hoffman Scholarship Fund. The Fund will provide ten scholarships annually to further the post-secondary education of at-risk students graduating from high school. Each student will be selected by the Cinderella Project, a nationally registered charity dedicated to helping students who have experienced neglect, abuse, poverty and marginalization. Jim and Judy McFarlane will match all contributions made to Shelley’s Scholarship Fund. To read more about the Cinderella Project please click here. 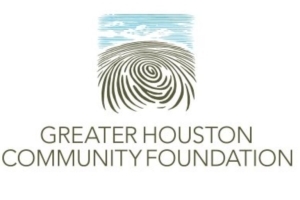 Visit https://ghcf.org/ for more information on how you can donate to the Hurricane Harvey Relief Fund. Three weeks after Hurricane Irma crashed into Florida leaving behind widespread devastation, the American Red Cross and a large team of partners continue to work around the clock to provide shelter, food and comfort to people whose lives have been turned upside down. It’s been nearly two weeks since Hurricane Maria devastated Puerto Rico and the U.S. Virgin Islands, and the American Red Cross is working around the clock with government officials and disaster partners to help the hundreds of thousands of people on both island territories who are suffering right now. Please click here to help provide relief for victims of Hurricane Irma and Maria.